You will earn 4,061 Reward Points. Earn 1 reward point for every 1 dollar spent. 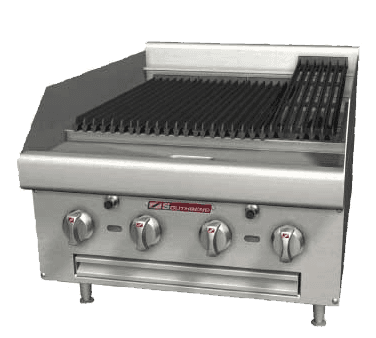 The heat-holding capacity of the Southbend HDCL-48 charbroiler’s stainless steel burners is increased through the use of included lava rock briquettes.